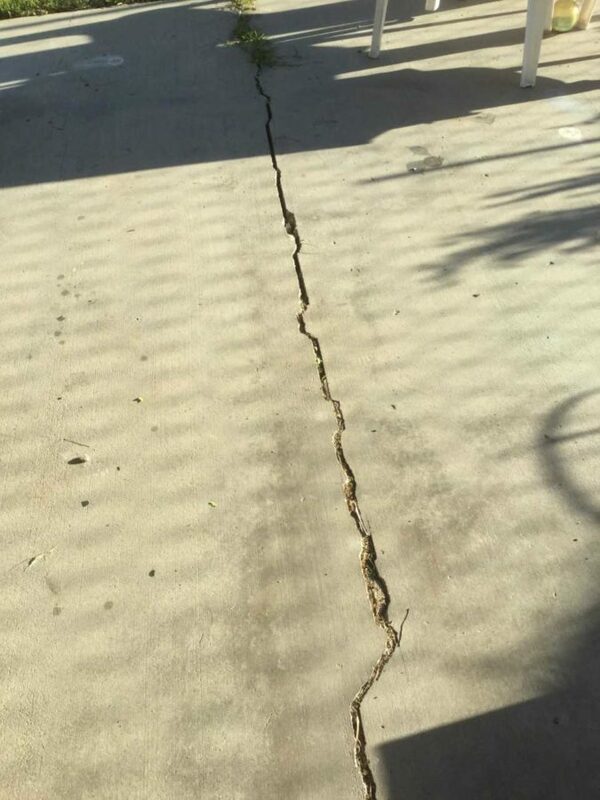 Courtesy photo A homeowner with a patio crack this large will need to backfill it with sand, then apply a product called Sika flex, a urethane-based product that has elasticity. I live in Canyon Country and, recently, we had some plumbing issues where a pipe ruptured and we couldn’t get the water to stop flooding. So, plumbers brought in a device that pressed a fitting over the two pieces of pipe. It looked like a gun with a jaw on it and it squished down onto the area. It stopped the leak but the area is very bent and kind of hokey looking, is this something that is standard, should I be concerned at all? The plumbers told me that this is what they do when they have a wet situation like this but with the way it looks, it certainly doesn’t look like anything that will hold for a long time. They pretty much replied to me as though I am crazy, so I’m asking you to clarify if this is something to worry about or if I am to trust this contractor. Larry, this sounds like a pro-press gun that they used and, as long as that compression coupling is centered between the two pieces of pipe and pressed on properly, this is a good and safe fitting. There should be marks on both sides of the pipe where they measured and marked so that equal amounts of each pipe are put into this fitting before it is clamped. This is the very critical step in using a pro press gun, to make sure that there is enough pipe on each side put into it, that the fitting will adequately clamp down onto enough pipe and hold. As long as this was done properly, you should be just fine, this is a very good system. Best of luck. Hi. Thanks for your column in the Signal on Saturdays. I look forward to reading them. I need your advice/recommendation on two things: 1) What kind of do-it-yourself repair(s) can I do on the cracks (pics attached) on my patio? 2) What kind of product should I use to treat the grout on my shower floor tile? It hasn’t been treated since the floor was installed six years ago. This is a pretty big crack. The only thing you can do is remove the debris and backfill it with sand to about a half-inch below the surface and apply a product called Sika flex that you can get at a big box store. You’ll obviously want it in gray. The Sika is a urethane-based product that has a lot of elasticity. As far as the tile grout, any sealer from the big box store will do. Just be sure you clean the grout very well and allow it to dry thoroughly, then follow the manufacturer’s recommendations.